Corn growing in northeast Iowa. The latest U.S.D.A. crop report shows wet weather has slowed planting progress — especially in the southwest part of the state. Overall, 96-percent of the corn crop has been planted, which is one day ahead of last year, and three days ahead of the 5-year average. 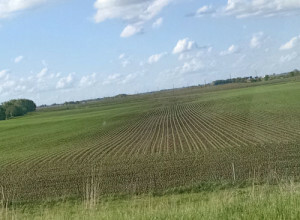 In southwest Iowa, just 81-percent of the corn has been planted, and ISU Extension Agronomist, Aaron Sauegling says it’s just been too wet. “We’re still behind. 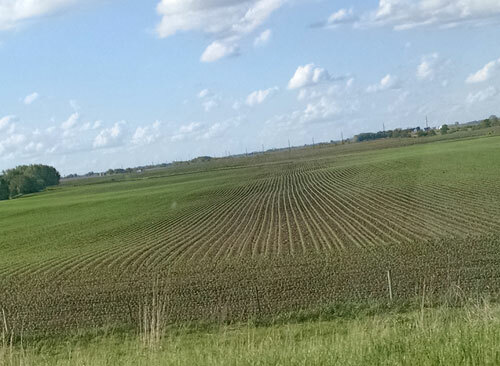 There’s still corn to be planted in portions of southwest Iowa. There’s actually a fair amount of soybeans to go. I have some producers that have yet to plant any soybeans, and I have some producers that are done,” Sauegling says. The crop reports shows 81-percent of the corn in the ground has emerged. Farmers have just had to wait for things to dry up. “It gets close, and there have been some producers that have tried to push that a little bit — to try to literally mud some of this crop in — and it’s just not fit. Soil conditions have just not allowed us to go out in the field,” Sauegling says. 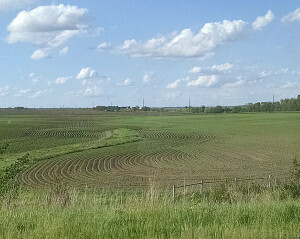 Across the state 81-percent of the corn that’s planted has emerged, which is six days ahead of last year and four days ahead of normal. Soybean planting is 70-percent complete, behind last year’s pace for the first time this year. Thirty-two percent of the soybean crop has emerged, slightly ahead of last year and normal.